Use this natural bodybuilding triceps routine to shock the triceps muscles into new growth. If your current natural bodybuilding routine for triceps is no longer delivering the muscle growth that you need, then it is time for a change. 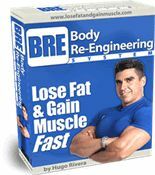 After all, the best bodybuilding routine is the one that your body has not gotten used to since the body then needs to adapt to it by growing more muscle tissue. But once the body adapts to a workout, then it is time for a change. 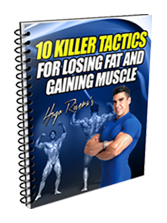 In this article, I will disclose a fast and intense bodybuilding triceps routine designed to fry every single muscle fiber on the triceps. We will start by a superset of Triceps Pushdowns (with bar) followed by some Triceps Dips. The Triceps Pushdowns are an excellent isolation movement that will cause a powerful contraction on the triceps. After performing this exercise for 12-15 repetitions, then I want you to go to the Parallel Bars and perform 8-10 solid repetitions of Triceps Dips. If you are not strong enough to perform these on your own, either have someone help you or use a triceps dips assist machine. If none of these options are available, then do the triceps dips using a bench. There should be no rest (other than the time it takes to go from one exercise to the next) in between these two exercises. After a one minute rest, I want you to go again for two more sets like this. Keep in mind that because we are pre-exhausting the triceps by doing the tricep pushdowns first, you will have more difficulty than usual performing your triceps dips. This second superset will start with the lying E-Z triceps extensions, which will deliver a powerful stretch of the muscle that will really break down some muscle fibers. If possible perform it on a decline bench in order to increase difficulty. If not, a flat bench is fine. Be sure to go all the way down and all the way up in this exercise contracting the triceps hard at the top. Make each movement a calculated and deliberate one; all the way up and all the way down. After all, this is the sort of exercise where not following this advice will crush your skull (there is a reason they are called skull crushers). After 12-15 glorious reps, move on without rest to the close grip bench press, in which you will do 6-10 reps using either a separate barbell or the same E-Z bar using the same weight. It really depends on your strength levels. For me personally, I need a separate barbell. Again, practice perfect form when doing this exercise. Once done, rest 60 seconds and start over for 2 more sets. After doing this bodybuilding triceps workout I guarantee you that your triceps will be screaming for mercy. 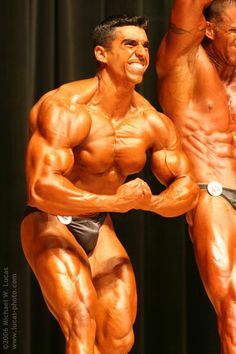 However, this is the kind of effort that will get you the bodybuilding results that you are looking for. Train the triceps twice a week. Try this triceps bodybuilding routine out for 3-4 weeks before changing it and let me know what you think. stubled upon your workout tips thanks to a youtube video. needles to say my old routine has fizzled out and i'm not seeing the improvements that i once was. 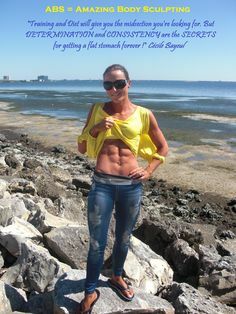 hopeully these tips will shock me back into an anabolic state. Thanks Hugo! 🙂 Great! 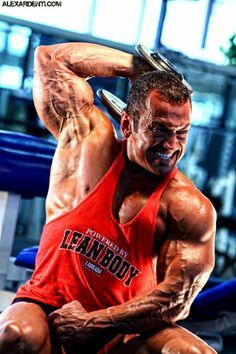 Remember that triceps play a key role in getting huge arms. Best!